Training - All eight of the trainees achieved their SVQs and all were successful in getting employment. Without doubt, a result. 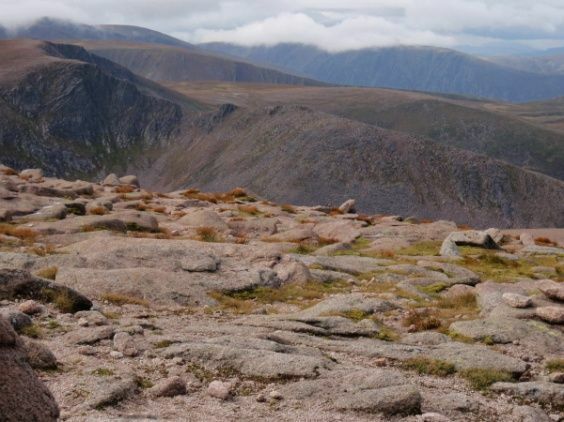 Cairngorm Mountain Heritage Project - Our area of interest, upland hill paths and described in more detail below. 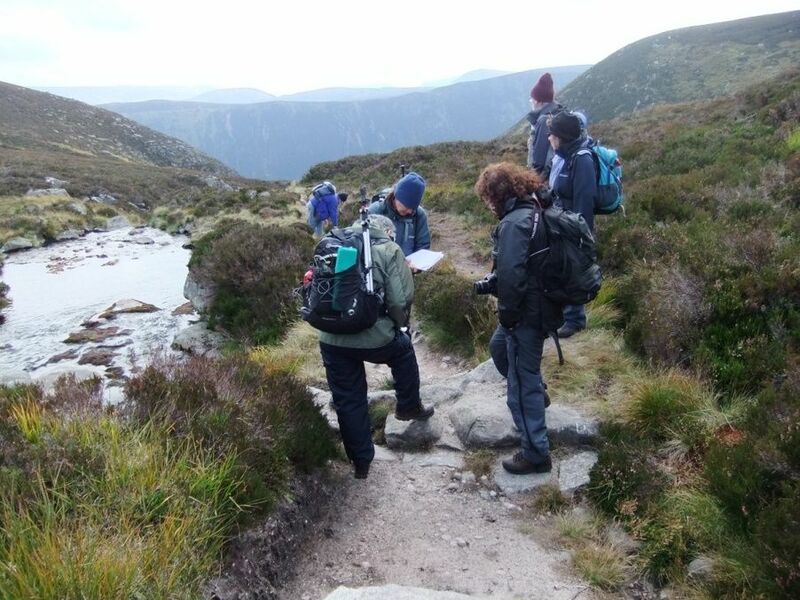 A workshop has been arranged for February 2013 to prioritise path repairs on the other side of the Cairngorms with the intention of applying for funding in 2013 for this work. Clearly, we need to be careful to avoid over-enthusiastic repair work where, e.g. light touch would be more appropriate. However, for the next few years, this is unlikely to be a problem as there are some serious areas of degradation, undeniably in need of repair, and only limited funds. Interestingly, COAT features in the Park Plans but as a generator of income for the area rather than as a repairer of eroded footpaths. Some of this theme came out at the AGM. We are pleased to see activity generated in the Park and believe that leveraging income from outside the area will be important for the future. However, we must be careful that the raison d'être doesn't move from path repair and maintenance (and creation of selected lowland paths) to generation of economic activity. That would truly be the cart before the horse. Now to more interesting things. Have you been involved in surveying a path? I found that my two trips to the southern half of Jock's Road have been hugely enjoyable. Apparently good weather can be guaranteed with suitable notice - maybe it's more to do with only going surveying when the sun is shining? In contrast to the early rise and long car journey needed for a west coast outing, path surveying can be started after a leisurely breakfast.